I'm new. What should I expect? How long will the service last? What if I am not Episcopalian? Additionally, join us on the playground after the 10 AM service for an Easter Egg Hunt. Children of all ages are invited to participate. 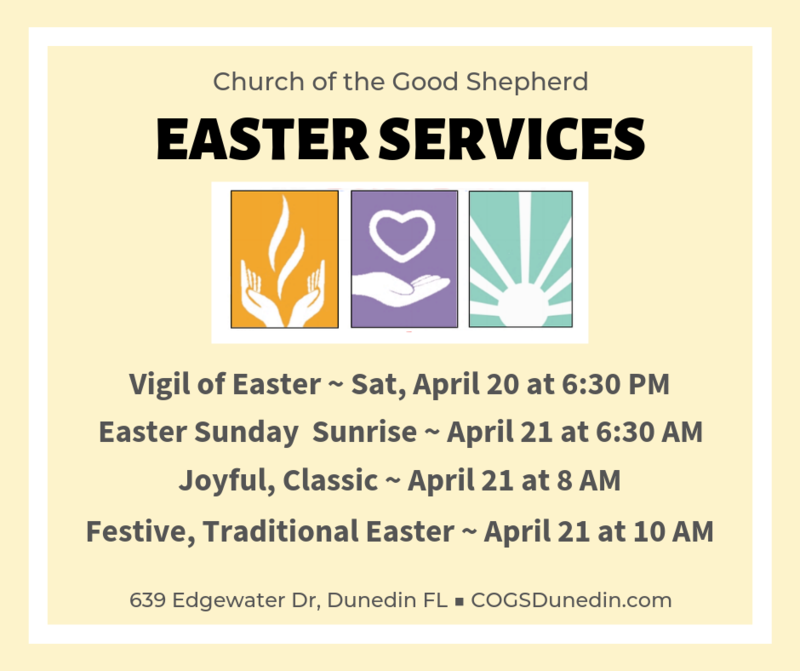 © 2019 Episcopal Church of the Good Shepherd. All rights reserved.